Part of the Boston Symphony Orchestra's fifth annual Insights series, centering on Shakespeare in 2016 to commemorate the 400-year anniversary of the Bard's death, this conversation focuses on Hans Abrahamsen's let me tell you. The piece, written for orchestra and soprano with libretto by Paul Griffiths, tells the story of Ophelia from Hamlet using the words that Shakespeare's character speaks in the original play. Abrahamsen, Griffiths, and soprano Barbara Hannigan, who sings Ophelia's lines in Abrahamsen's composition, discuss let me tell you with Professor Stephen Greenblatt and moderator, Professor Thomas Kelly. The talk aims to engage audiences more deeply with the piece, its performance, and the creative processes that gave rise to it. Barbara Hannigan is a soprano and conductor, Artist in Residence with the Gothenburg and Bamberg Symphony Orchestras and conductor of the Toronto Symphony Orchestra, Mahler Chamber Orchestra, and Münich Philharmonic in 2015 to 2016. The Berliner Philharmoniker commissioned her to sing Hans Abrahamsen's let me tell you, which she recorded in January 2016 and subsequently premiered in the US with the Cleveland Orchestra and Boston Symphony Orchestra. Hans Abrahamsen is a Danish composer who has published works since the age of sixteen. He is known for his "snow music," pieces focusing on snow and winter scenes. In 2013, he wrote let me tell you for soprano and orchestra, which the Boston Symphony Orchestra performed in 2016. Paul Griffiths is a Welsh writer and music critic. He wrote the libretto for Hans Abrahamsen's let me tell you for soprano and orchestra, which the Boston Symphony Orchestra performed in 2016. 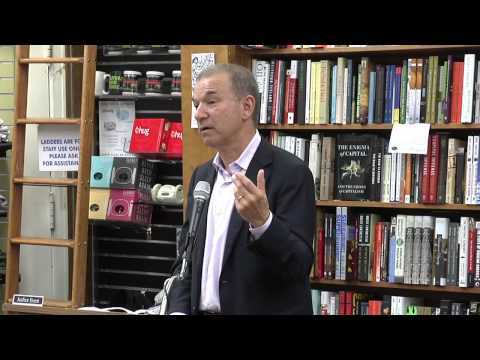 Stephen Greenblatt is the John Cogan University Professor of the Humanities at Harvard University. He is the author of Will in the World: How Shakespeare Became Shakespeare, Hamlet in Purgatory, and Renaissance Self-Fashioning.